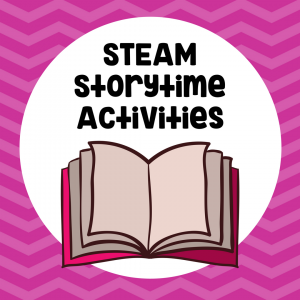 Use a classic picture book to create fun and hands-on Preschool STEM activities, or as we like to say, Preschool STEAM. 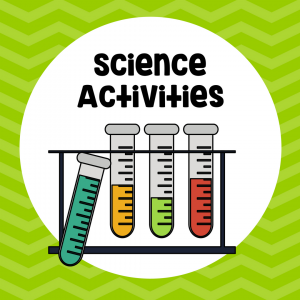 Many STEAM challenges may be accomplished with simple classroom supplies. 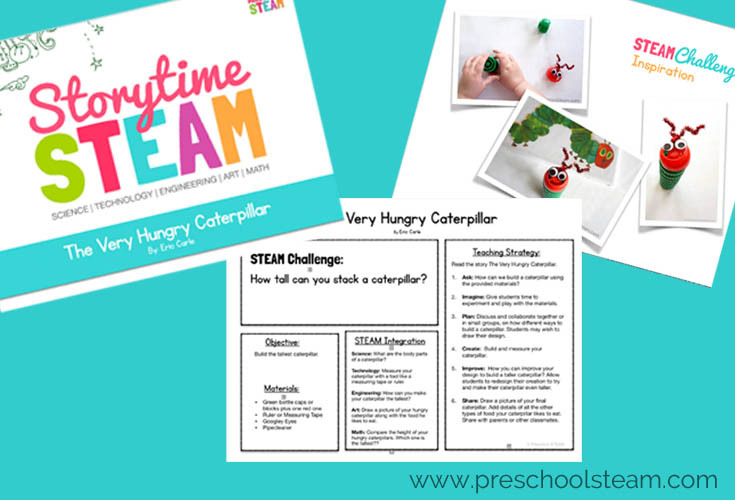 Check out our Hungry Caterpillar inspired STEAM challenge below! 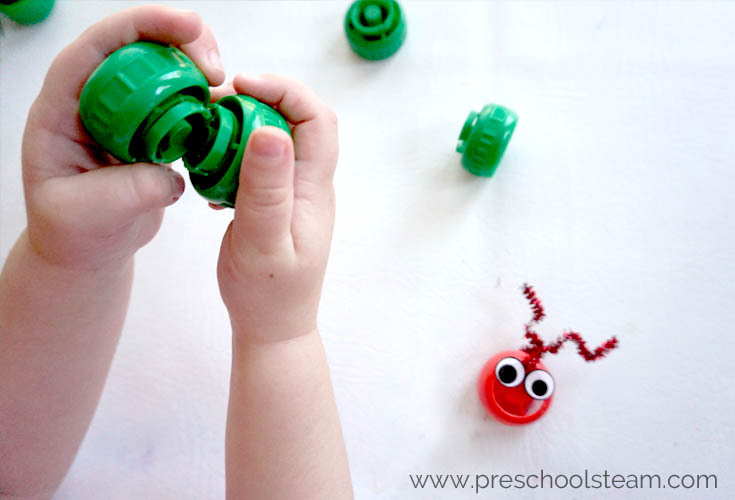 How tall can you build a Hungry Caterpillar? Objective: Build the tallest caterpillar. Plastic Bottle Caps (We used the tops of the pouch applesauce. You also could use blocks or play dough). 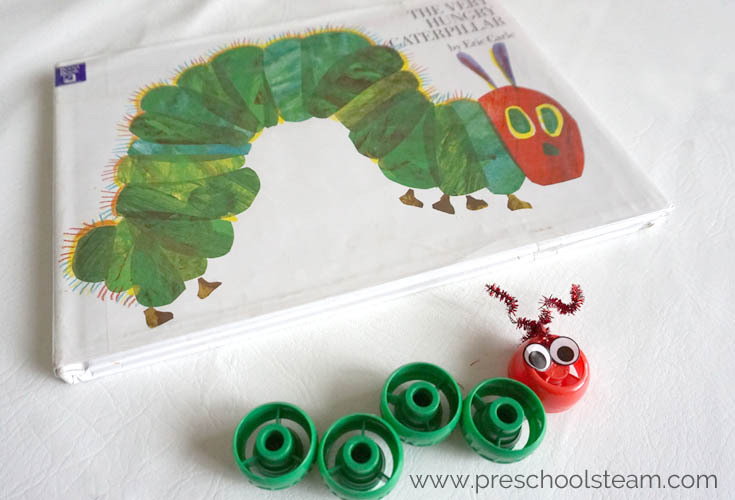 Read the story, The Hungry Caterpillar. Ask: How can we build a caterpillar using the provided materials? 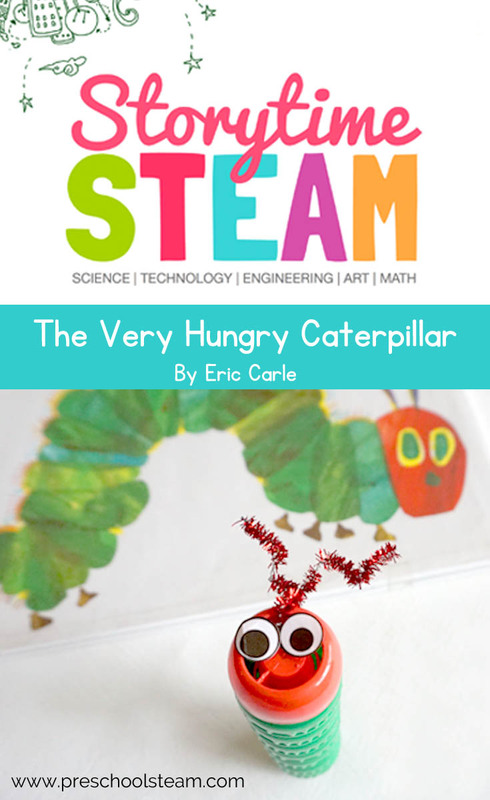 Plan: Discuss and collaborate together or in small groups, on how different ways to build a caterpillar. Students may wish to draw their design. 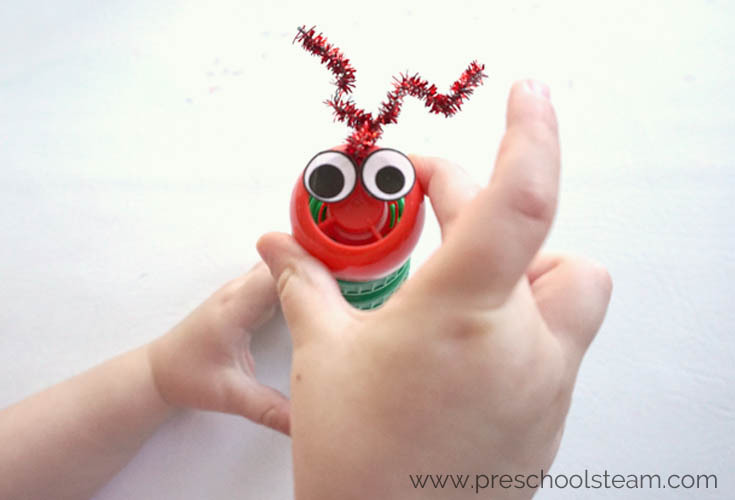 Create: Build your caterpillar and measure how tall it is. Improve: Discuss how you can improve your design so that you can make your caterpillar even taller! 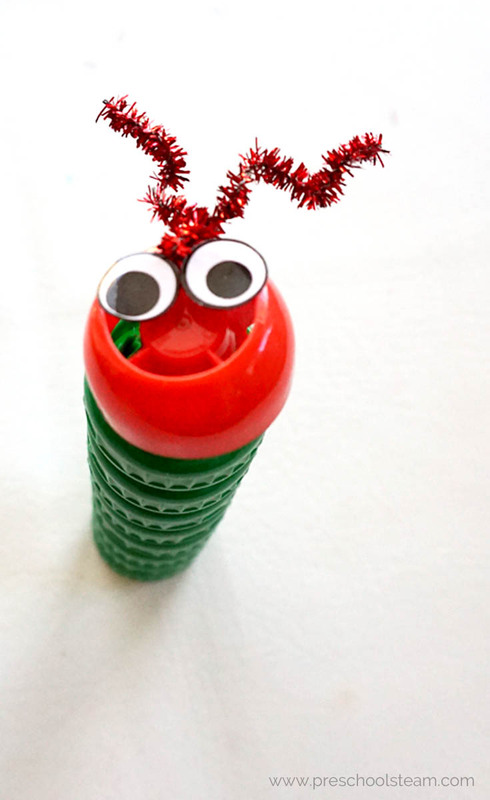 Allow students to redesign their creation to try and make their caterpillar even taller. 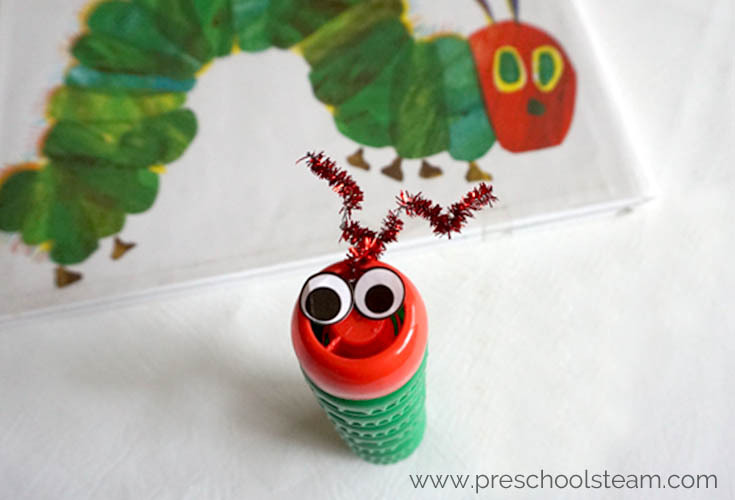 Share: Draw a picture of your final caterpillar. 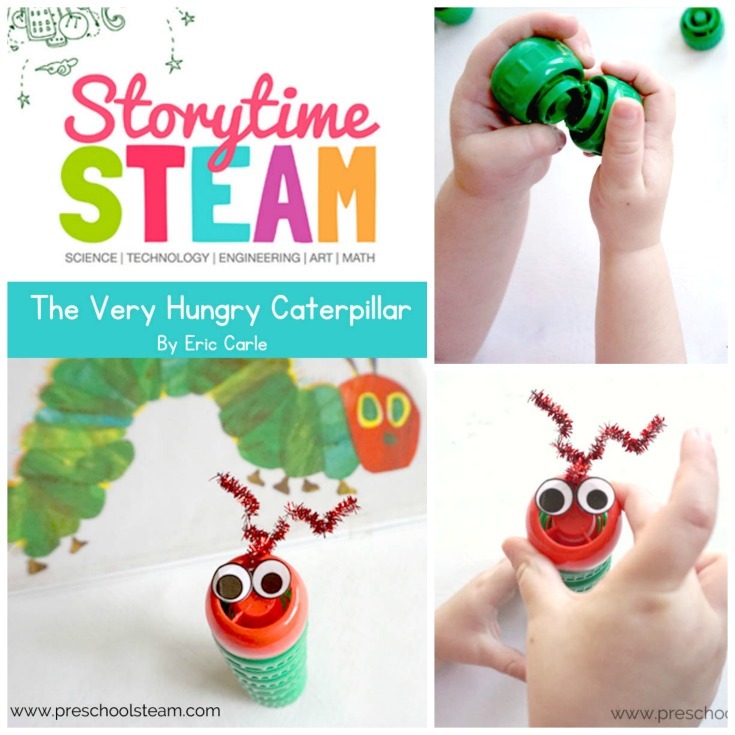 Add details of all the other types of food your caterpillar likes to eat. Share with parents or other classmates. Science: What are the body parts of a caterpillar? Technology: Measure your caterpillar with a tool like a measuring tape or ruler. Engineering: How can you make your caterpillar the tallest? 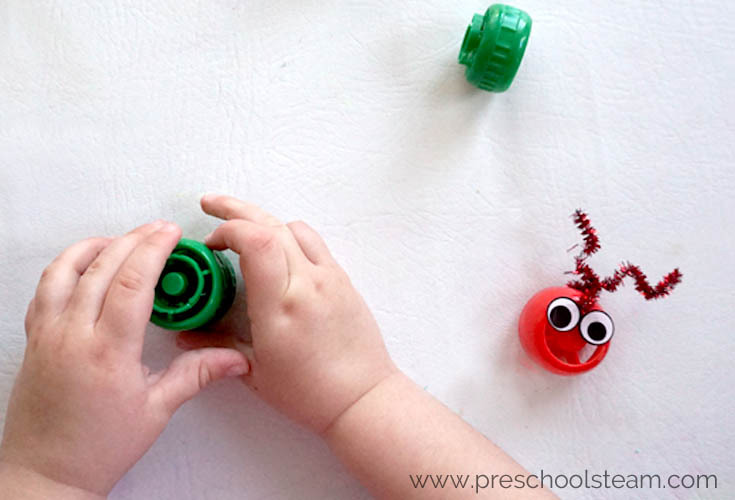 Art: Draw a picture of your hungry caterpillar and add his (or her) favorite foods. Math: Compare the height of your hungry caterpillars. Which one is the tallest?